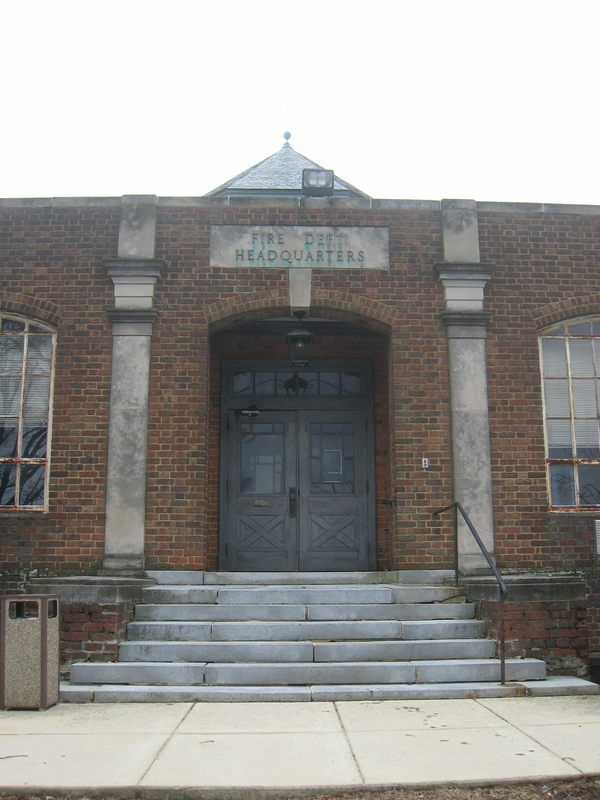 The Fire Alarm Headquarters was built in 1939 as the hub of the city’s fire alarm call box system. Telegraphic signals from call boxes near conflagrations or accidents were received here and relayed to the nearest fire station. The building’s elevated central location allowed its belvedere to serve as a watchtower over the city. 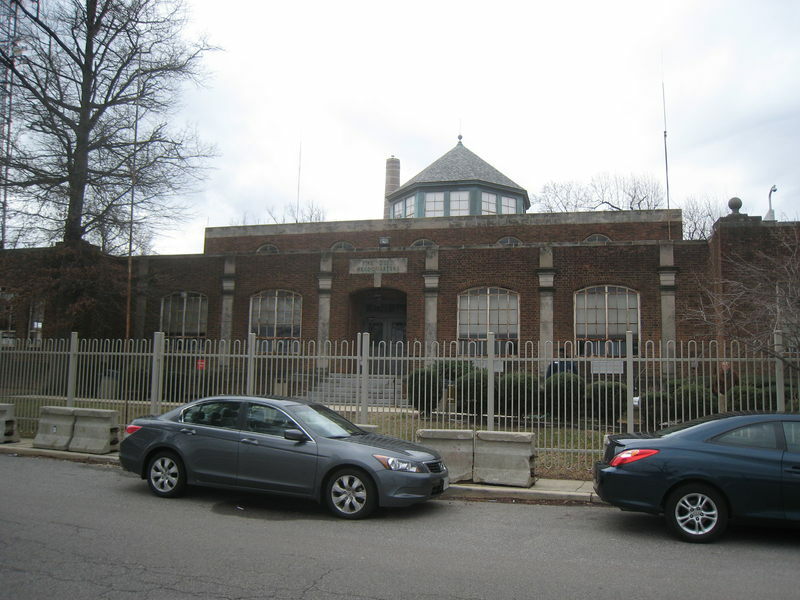 It also served double-duty during World War II as the city’s “Warning and Control Center” for potential air raids. 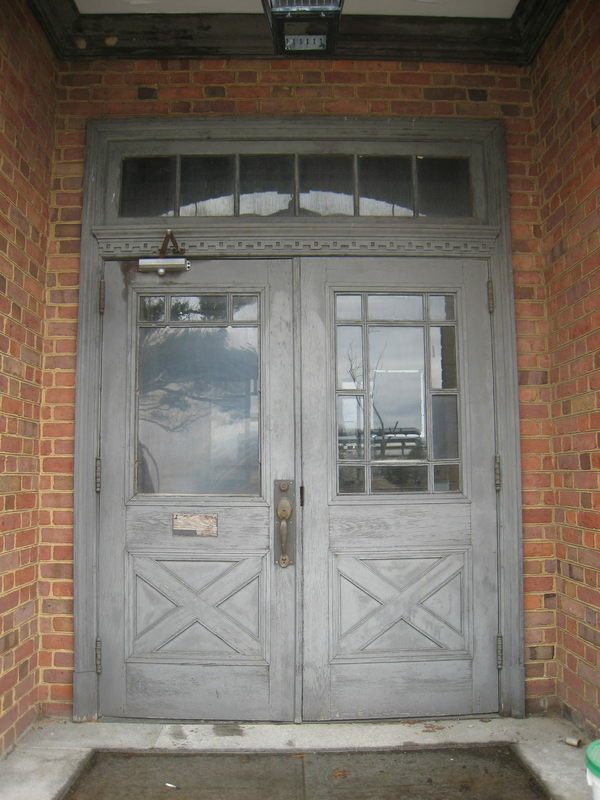 Designed as a “brick bungalow” by Municipal Architect Nathan Wyeth, its form and Colonial Revival detail is similar to its engine-company contemporaries. 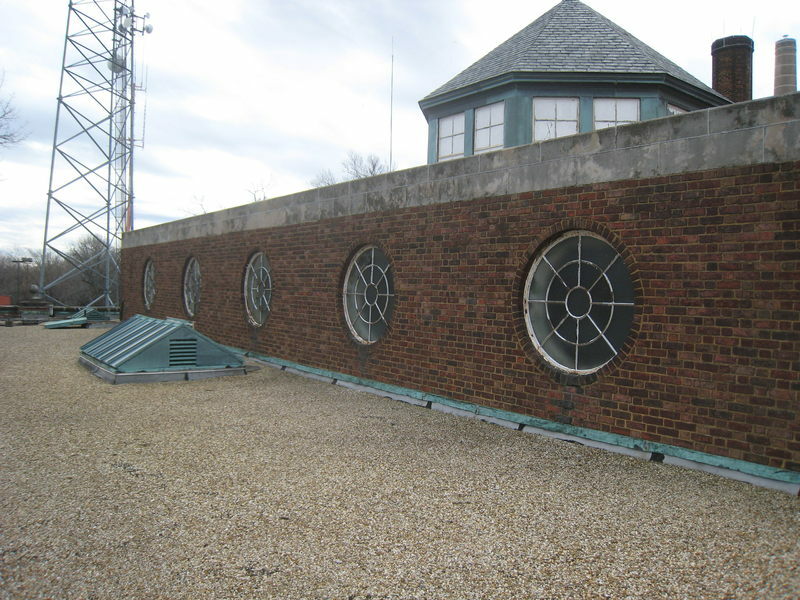 The belvedere and round upper windows may have been inspired by Jefferson’s Monticello, but the building is fundamentally utilitarian and shows the architect grappling with both financial limitations and the emergence of Modernism. 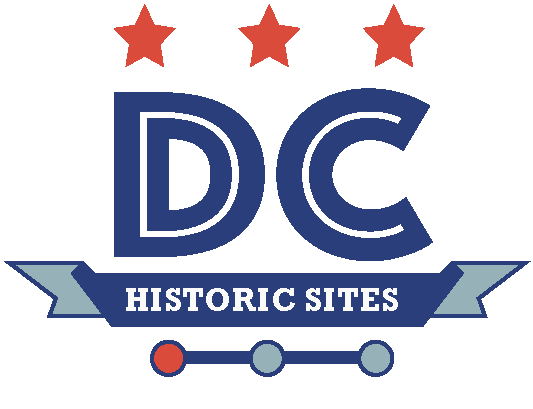 “Fire Alarm Headquarters,” DC Historic Sites, accessed April 24, 2019, https://historicsites.dcpreservation.org/items/show/688.